Krishna is a deity worshipped across many traditions in Hinduism in a variety of perspectives. 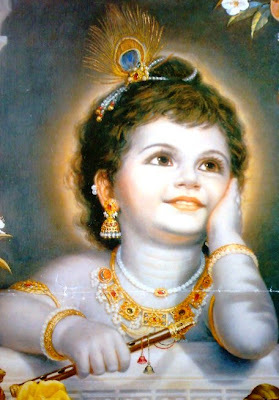 While many Vaishnava groups recognize him as an avatar of Vishnu, other traditions within Krishnaism consider Krishna to be the Supreme Being. Material Used : Charcoal Pencils, HB, 6B Pencil, Yellow Sketch Pen, Pencil Colors (Green, Blue, Orange, Yellow, Red, Brown, Pink), Ball Point Pen (Black, Red, Green), Chalk, Drawing Paper. Material Used : Pencil Colors, Sketch Pen, HB Pencil, Drawing Paper.